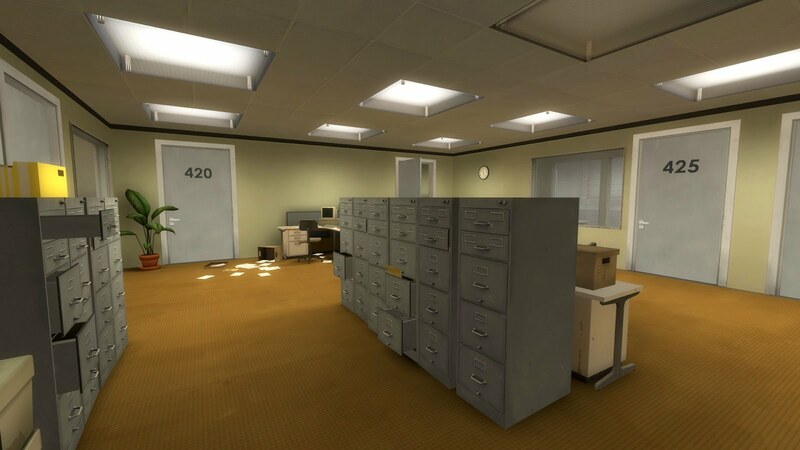 The Stanley Parable is a walking simulator with a Narrative and choices set in an abandoned office. 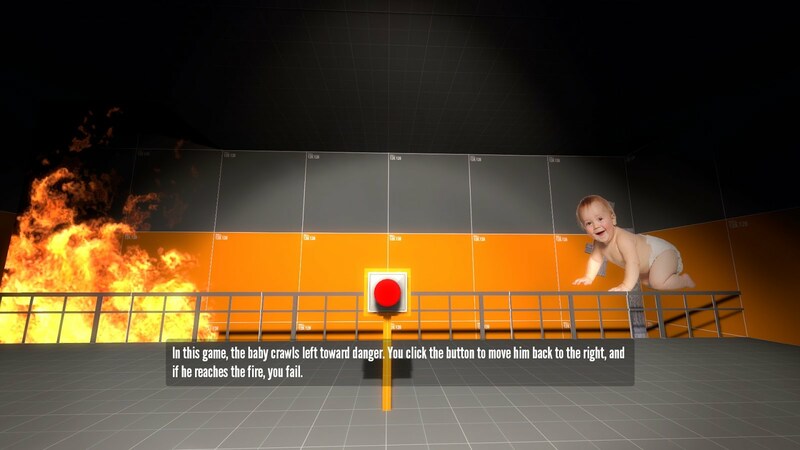 It is an experiment that has an interactive narrative and attempts to start a new type of storytelling in video games. 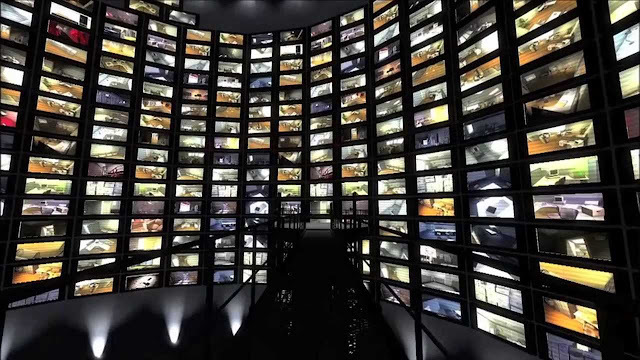 Its funny, surprising, sometimes uncomfortable with many branching story lines. 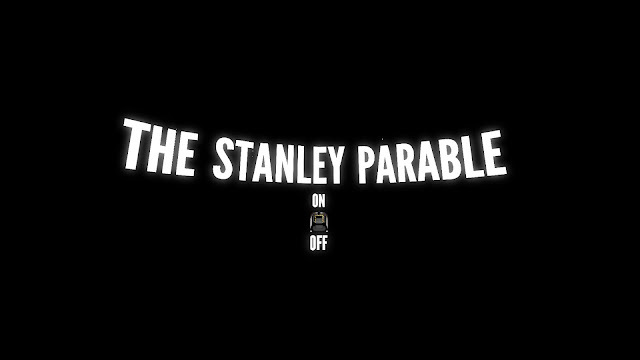 You play as Stanley a pretty boring man who's main job is to sit at his desk receives orders from upstairs to press buttons on his keyboard. One day when Stanley went to work he found something strange that no orders where giving to him and there was no one in the office so after waiting a long time he sets off to find out what is going on. 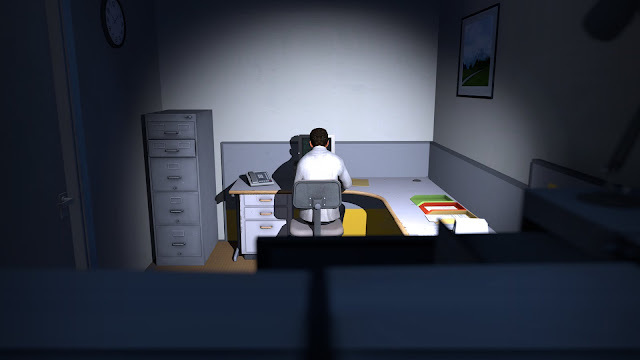 The main mechanic of this game is to walk with WASD keys and look around with the mouse. It seems simple enough as your not here for the game play your here for the narrative. The engine is running from the Source engine as the game started off as a mod for Half Life 2. Graphics are done to a good standard a lot of effort went into the detail of the environment and same care is put into the props. The game is filled with many sounds that would be present in an office but most sound that will be heard in this game will be of the narrator voiced by Kevan Brighting. 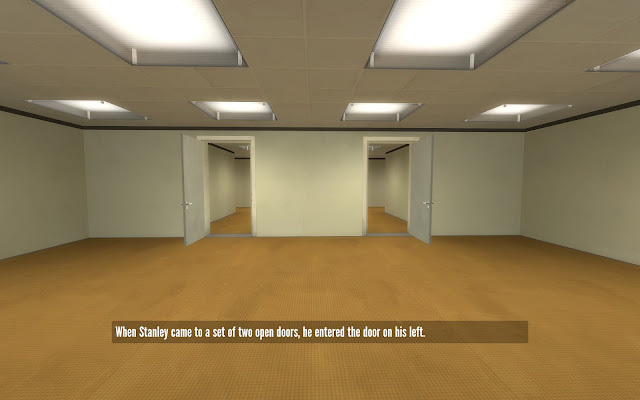 Many games follow a certain pattern doing the same type of genre over and over but The Stanley Parable breaks off from the rest with it being its own game. The game also includes many different endings if I may call them endings and many heading secrets and references to keep you going for a good while. This is a very enjoyable game that brings together the great art of storytelling and game play into one. I rate The Stanley Parable a 8/10 a really fun and different game to others out there.